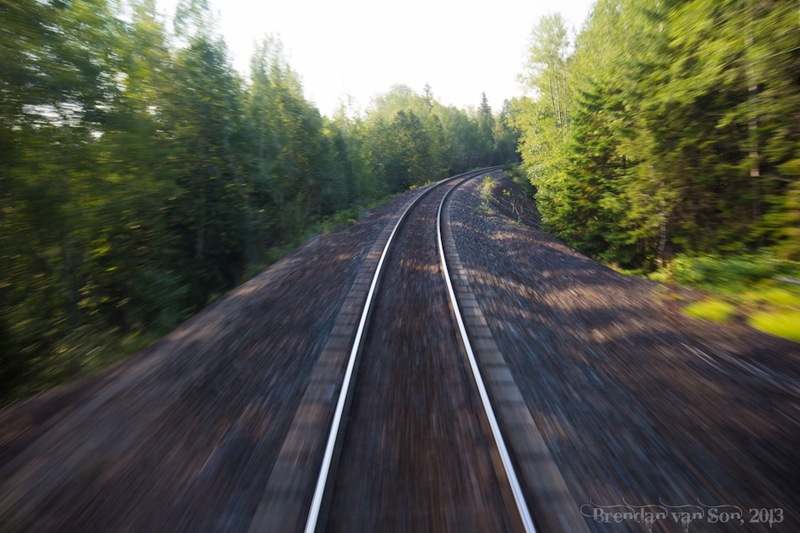 Upon arrival to Canada, I got to do something I’ve always wanted to do: ride the train across Canada. For me, there is no better way to travel than via train. It’s slow enough you can watch the world float by, but also comfortable enough that you can stretch your feet, sleep, and eat cozy meals as you go. For me, it’s the only method of travel that lets you feel like you’re moving, without making you feel like your travelling, if that makes any sense. If comfy enough, riding a train is like travelling in your house. 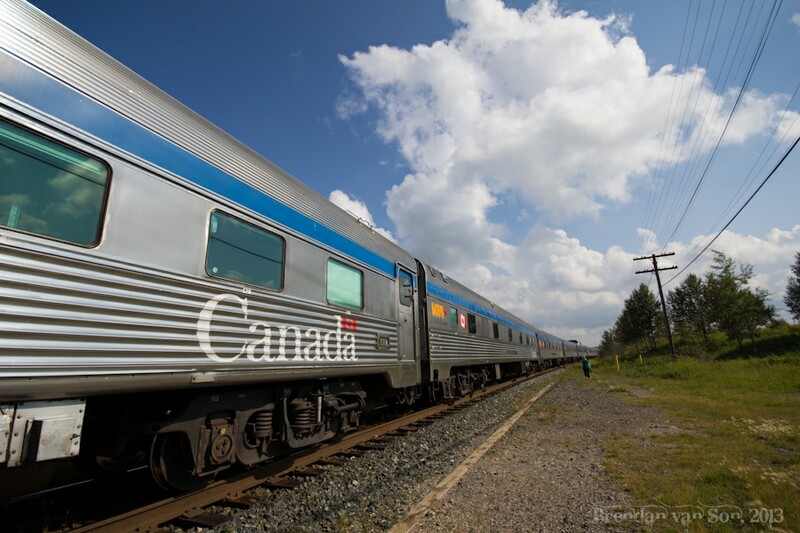 The VIA Rail that runs across Canada, in my case from Toronto to Edmonton, is that perfect form of travel. And despite the idea that lots of Canadians have that taking the train across Canada is boring since east of the mountains is all prairie or bush is completely untrue. Though there is lots of prairie, and lots of bush, the views are constantly beautiful. 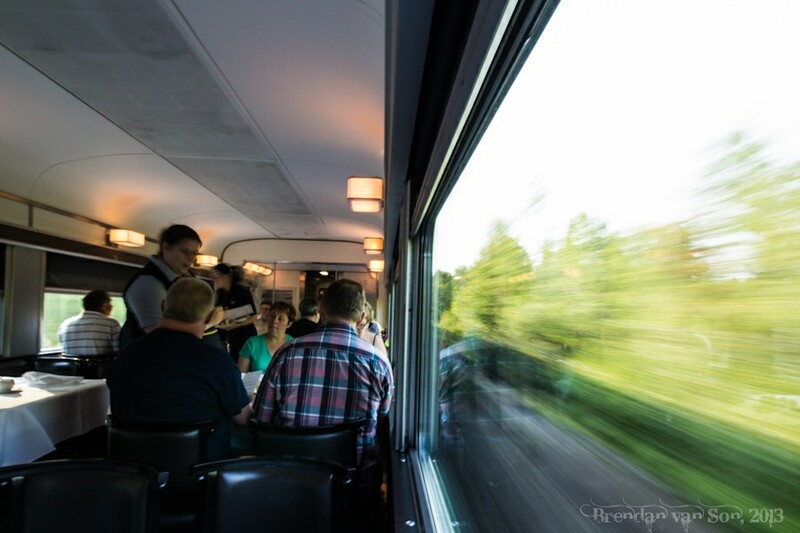 Rather than writing a long descriptive article about the train, I thought instead it would be good to show you the train trip in photos, and explain through the captions. Enjoy! This is the back of the train. On the Via, this car always has coffee, tea, and, on the night you set off, some champagne and snacks waiting for you. 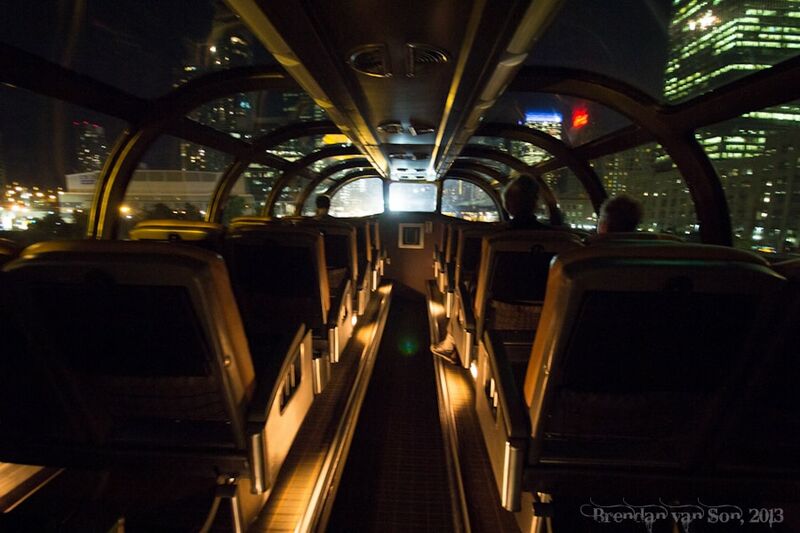 On the first night, I climbed up into the dome car for a view of Toronto at night. This would be my bedroom for the trip across Canada. It’s the top room you can get, this is a double although I had it to myself. It also had a private toilet and sink. Showers are shared by multiple cabins. 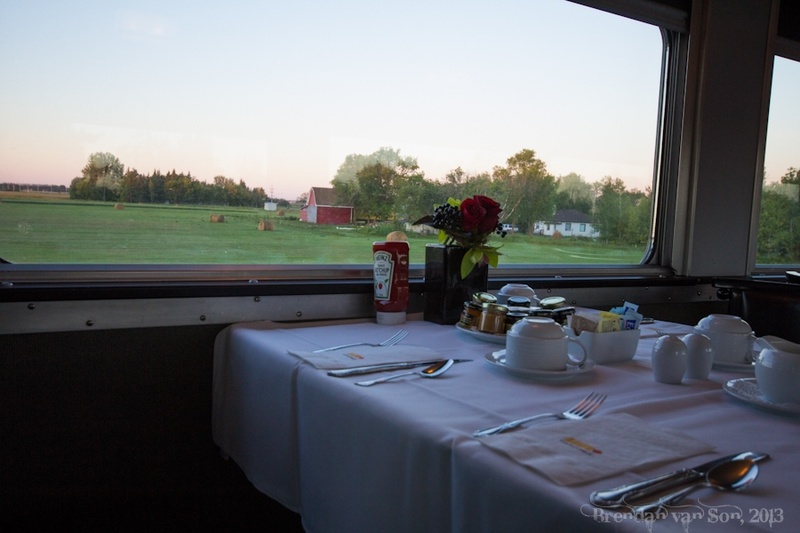 Day 2 on the Via across Canada starts with breakfast in the dinning car as the train cruises through Ontario. Most of Ontario is a mix of bush and hidden lakes. There’s not a cell phone signal in sight, the perfect escape from technology for a day! One of the rare stops long the way. Aside from a fairly long stop in Winnipeg, this was the only time I got out of the train. The view from my room on the Via Rail… 2 days without cell coverage was exactly what I needed. Life in the dinning car at sunset. Food along the way on the Via Rail was great. 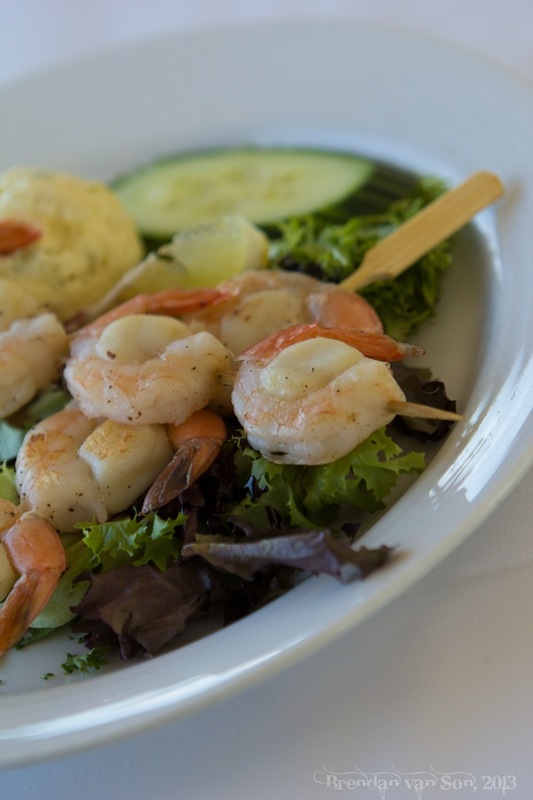 3 Course meals with a view… you can’t beat that! 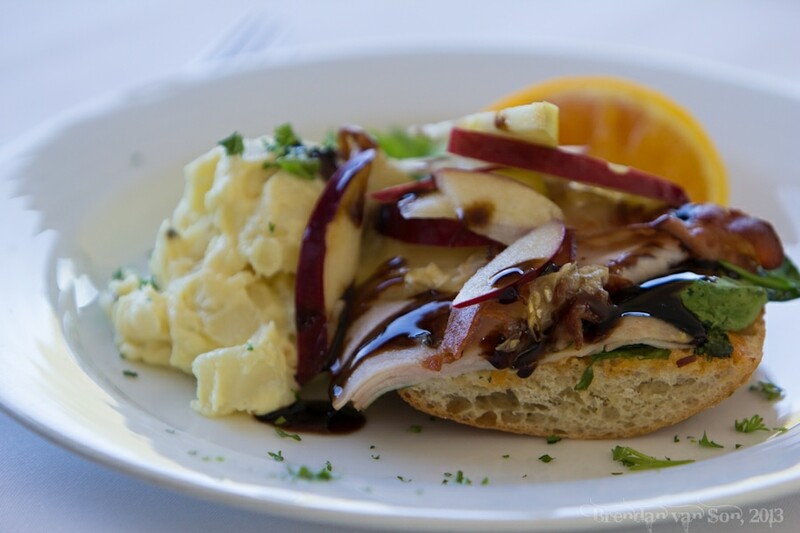 I could go all day with the food photos. 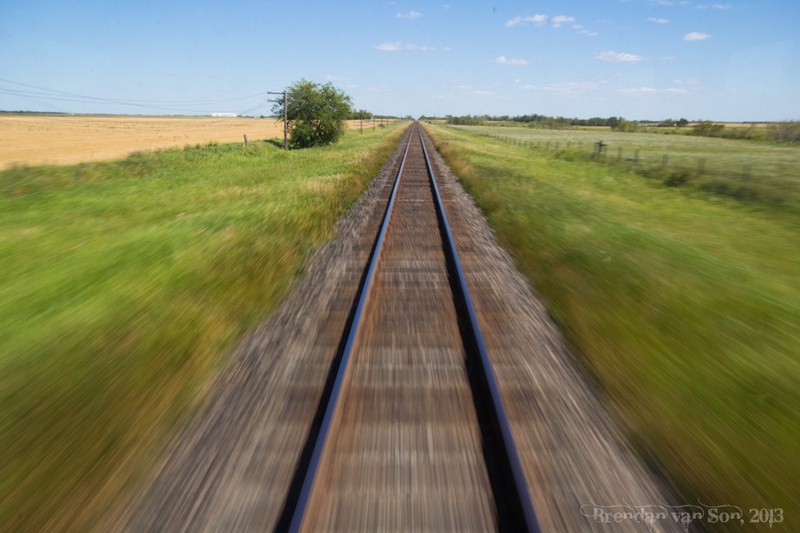 Hitting the prairies… getting closer to home. Breakfast and this view is about as good as it gets. This was my favourite photo from the entire trip across Canada with Via Rail. 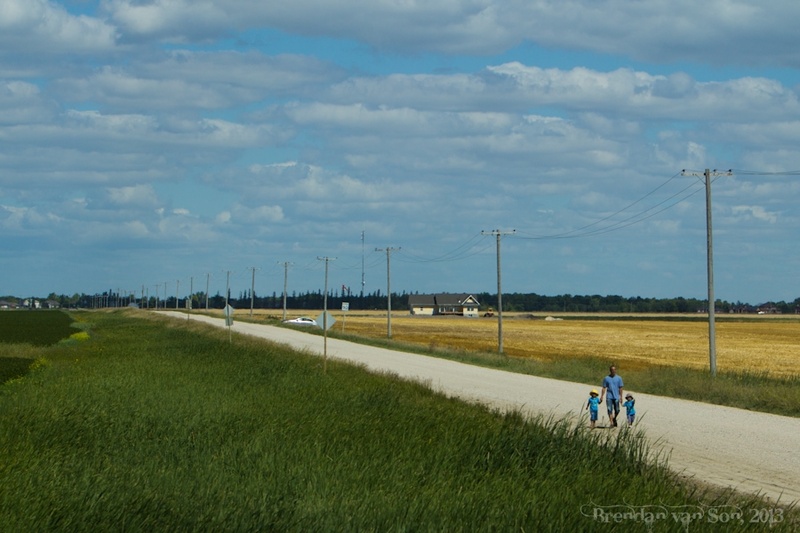 I love the colours of the prairies and the father and sons walking down the road. Perfection. The prairies moving from the window in the back of the train. Is there a more familiar view of the prairies than this photo??? How wonderful! This is definitely a journey I’d love to do at some point. I’m surprised that there are showers: quite different to the Trans-Siberian/Mongolia/Manchurian ride, then! I drove from Calgary to Toronto this summer, but I’d definitely love to take the train for that journey. Also I didn’t realize the dome car was available from Toronto, for some reason I thought that was just the the Edmonton to Vancouver journey. The dome is always there, on the trans-Candadians. It’s a sweet view, but really any window on that train has a great view. You’ll have to get on it some day! 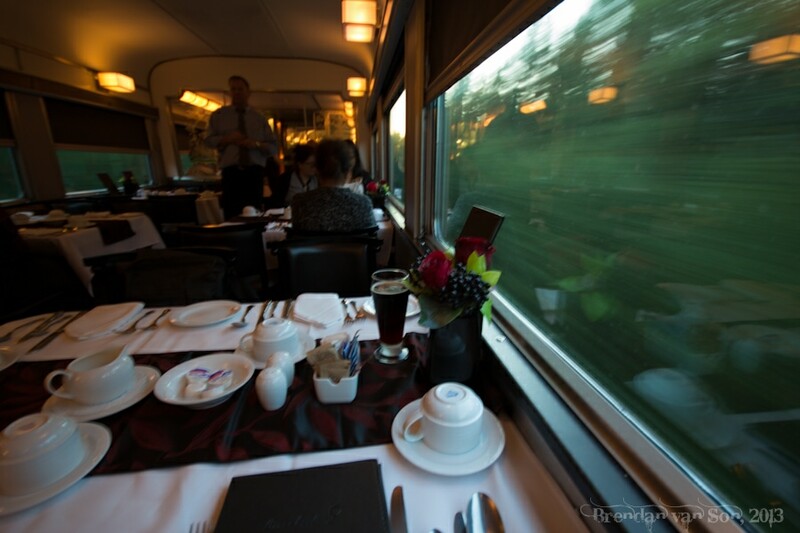 When Tony & I knew our RTW trip would be starting in Asia, we considered taking the VIA rail from Toronto to B.C. to fly out from the west coast… and then we realized that the train ticket for 1 person would cost more than BOTH of our plane tickets to Japan. I could not believe how stupidly expensive our cross-country trains are! 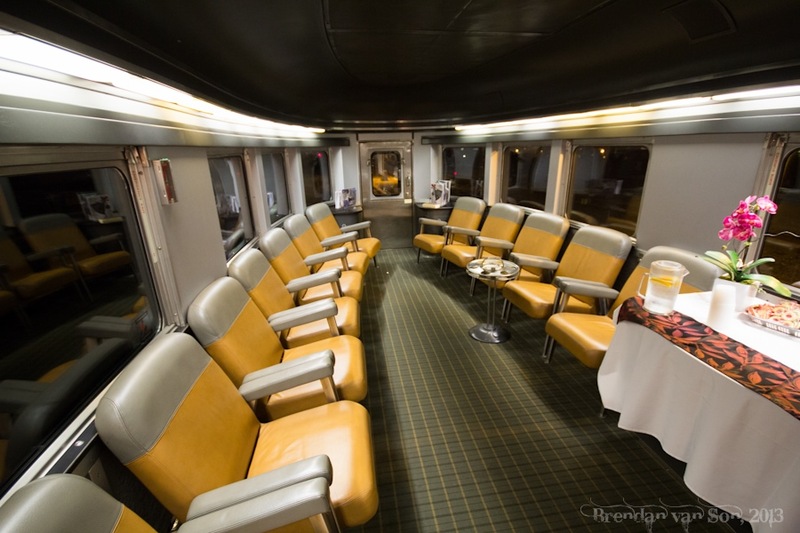 I know flying in Canada is hardly easier on the wallet, and I love taking trains too, but I really wish VIA Rail made it a more realistic option for budget travelers. They are expensive!! But pretty amazing! The issue with the trains, is that route you’re essentially travelling from Paris to Moscow in distance, and there are exactly 0 cities of over a million people in between. Huge distances + low population density = high cost. It’s inevitable. It really is worth it to do at least once in your life at some point though, I assure you. I find it quite cheap when you consider all of the expenses. From Vancouver to Toronto, it is four nights. Don’t compare it to flying. Also, it is in comfort far beyond anything in intercontinental first class flights. There is privacy (you are not dangling your limbs out in an aisle while sleeping) and there are, I believe, 10 meals served on that trip. If you want to find a lower price, perhaps you could hitch hike, sleep in a ditch, and beg for food. P.S. look at the “Express Deals” on the viarail website. Vancouver to Toronto is going for less than half price right now. That’s my point David! It’s expensive compared to flying, but it’s not flying, it’s a journey. Like a cruise, you get your food, lodging, and travel together, so it is a great deal! 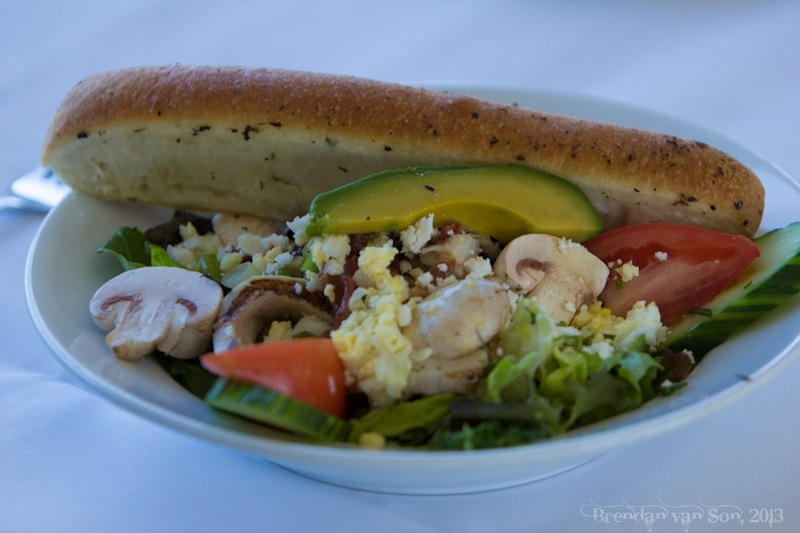 the via train looks so nice – and that food! we took a train from LA to seattle last year on amtrak and it was just lovely. no connectivity can be bliss. Looks like an amazing journey! Brenan, that looks like one amazing way to travel across Canada! 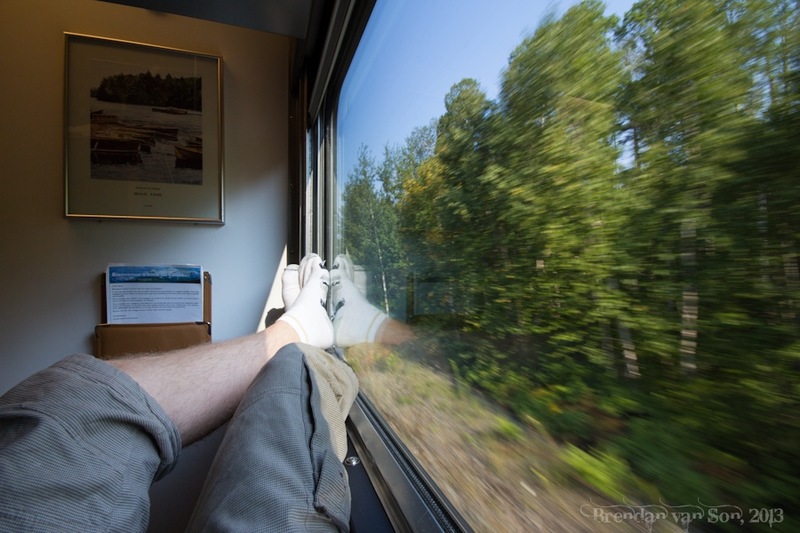 I’ve always been obsessed with train travel and I’ve started every big adventure on Amtrak, but I’d love to do Via Rail sometime. AND it seems like they are really upping the ante on class and quality. Thank you posting such excellent photos. I always like to see interior shots of a train and ship. (I hope paper napkins weren’t being used too often in the dining car; I’ve experienced that myself a few times.) I highly recommend the Canadian and I take a trip on it every year, although not always on the entire route. My pleasure! Thanks for having a look! planning toronto to vancouver this summer….thanks for confirming anticipated expectations….my bucket trip! Lucky! The Via Rail is so sweet! Brendan, Thank you for the pictures. I am flying from Halifax, NS. to Toronto on Saturday. 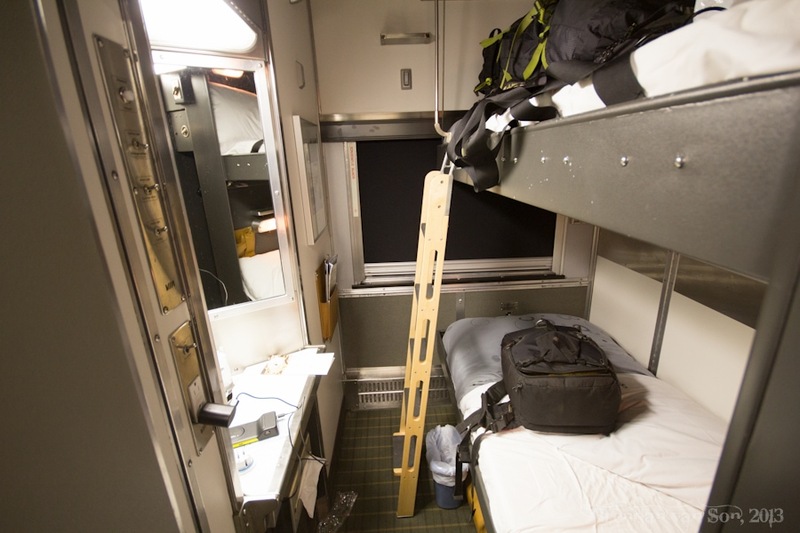 Then I have a cabin on the train from Toronto to Edmonton leaving on Saturday night. I can’t wait to take pictures and meet new people along the way. Ohhh! Have fun! You’ll definitely meet loads of people. Dining times is great for that! Wowwww. Thanks for sharing! I am going on the Canadian this month (January), from Toronto to Vancouver. It’s not the ideal time of the year, but it was the only time I could do it before going back to the UK. It’s always been a dream of mine to do Canada by rail and I’m finally doing it, stopping off at all the major destinations along the way. 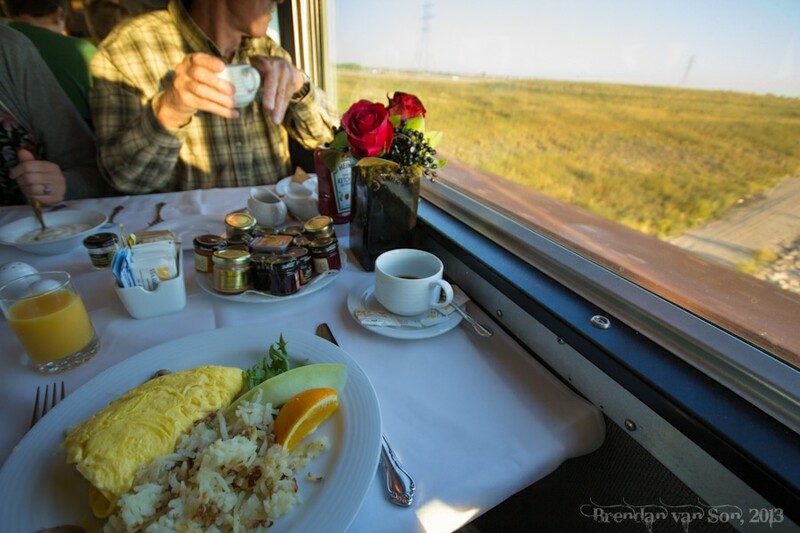 Just reading your blog made my hairs stand up on end in excitement, which I know sounds corny, but I’m so looking forward to seeing this beautiful country by rail! I have a question about photography on the train. Are there windows that open or an outdoor area? If not, how did you shoot through the glass without compromising image quality? The windows do open. However, this was like 3 years ago. The last time I took the train they no longer allowed you to get the camera out the window.